Hey, Blogger won't let us add a photo! Happy Wordless (And Photoless) Wednesday to ya! 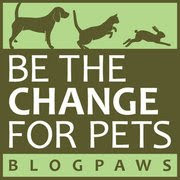 And why not join the BlogPaws Wordless Wednesday Bloghop while you're here? 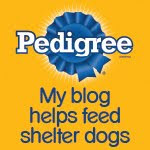 Sorry to hear blogger is giving you a hassle. Happy wordless and Photoless Wednesday to you. Do you have a flickr? If so just copy the HTML code from the pop up window (medium size). When you post to your blog go to the "edit html" tab and paste it there. You shouldn't have a problem. The photos will be better quality as well. great photo!! Your kitty looks so much like my Bobo used to look...so cute! Sorry you were having trouble loading photos onto Blogger but another part of me is happy about it! I was working on my post for tomorrow about an hour ago and I was having a MISERABLE time uploading photos onto my blog on Blogger. Glad it wasn't just me! I'm sowwy bloggew is being so vewy nasty to you. I do love that pictoowe of the two of you. Glad you could upload your adorable picture at the end! Blogger has been pretty naughty lately!